Winner of six Tony Awards®, including Best Musical, THE LION KING brings together one of the most imaginative creative teams on Broadway. Tony® Award-winning director Julie Taymor brings to life a story filled with hope and adventure set against an amazing backdrop of stunning visuals. 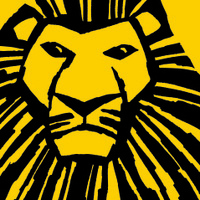 THE LION KING also features the extraordinary work of Tony Award®-winning choreographer Garth Fagan and some of Broadway’s most recognizable music, crafted by Tony Award®-winning artists Elton John and Tim Rice.